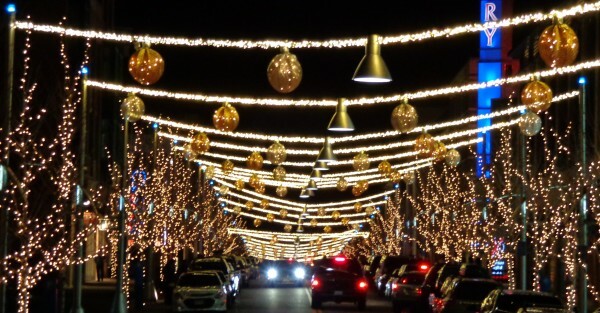 Free high resolution photo of a holiday street scene with Christmas lights. This photograph was taken at night so you can see the street lined with trees with white Christmas lights. There are lighted garlands with big golden globes stretched across the street, and cars parked along the sides. Free picture for any use.